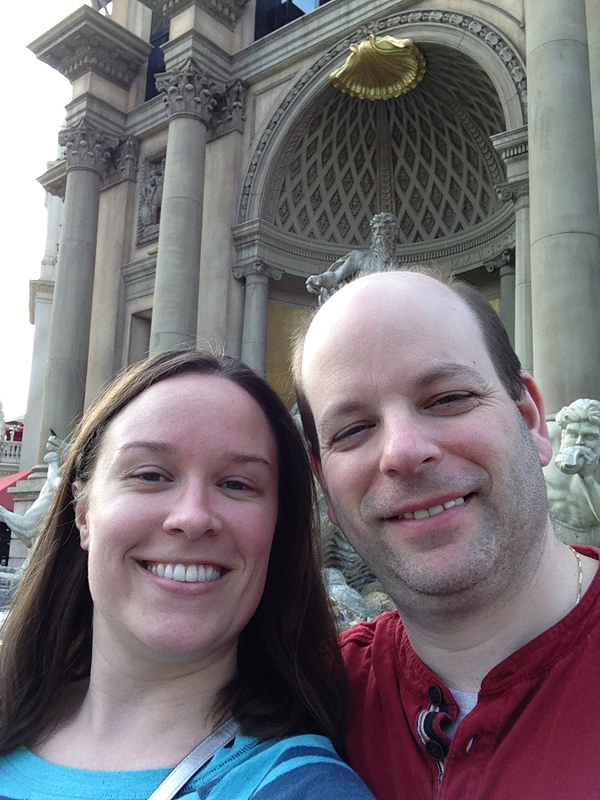 Just sharing some of the photos from our trip to Vegas. I'd previously posted my photos from the Neon Museum; these are from the rest of the trip. 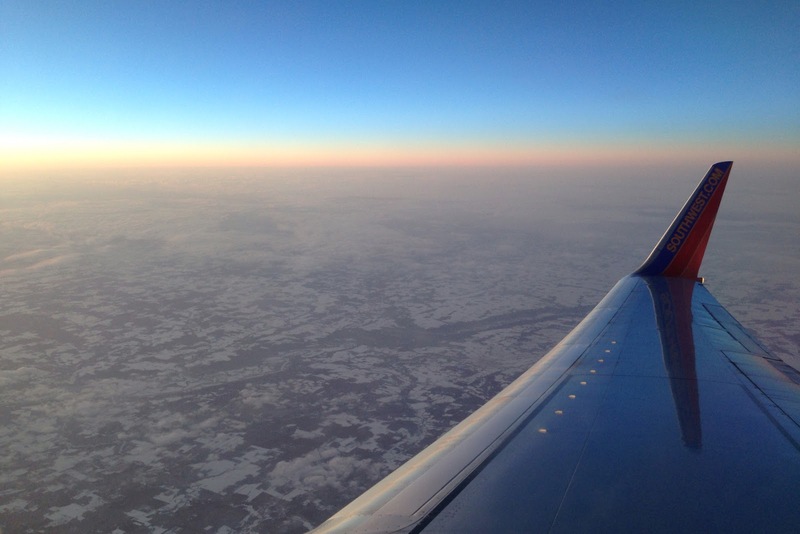 We left on Monday afternoon, and I snapped this photo of the sunset from my window seat with my iPhone. No filter needed, just so beautiful. We stayed at the Gold Coast, which is slightly off strip, just behind the Rio and across from the Palms. We like Gold Coast because the rooms are cheap but nice enough, and they have decent gambling downstairs. 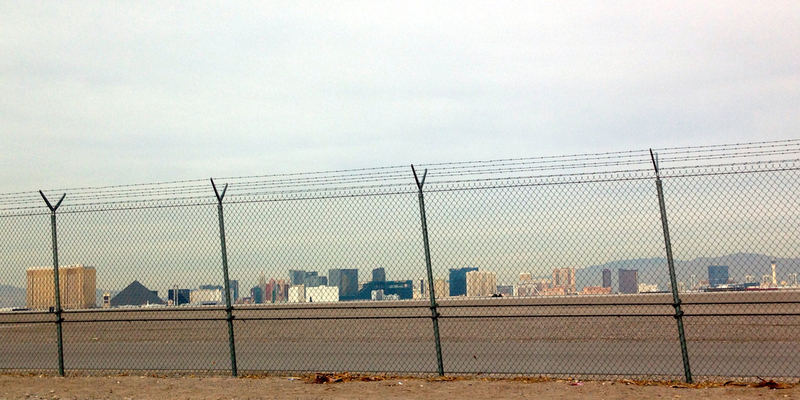 Since we have a rental car when we're out there now, we don't need to stay right on the strip. 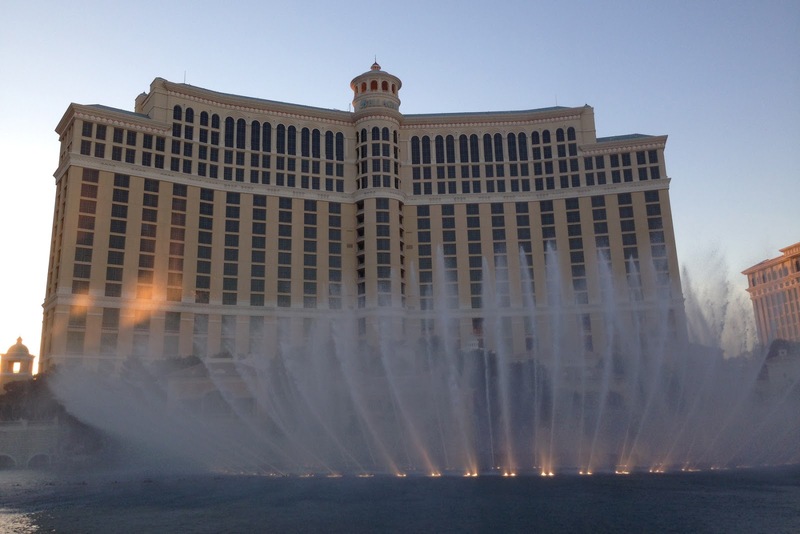 (We've been to Vegas a dozen times and stayed at many of the on-strip hotels, so I don't feel I'm missing too much by staying at a less expensive place). Our room cost us $37 a night. 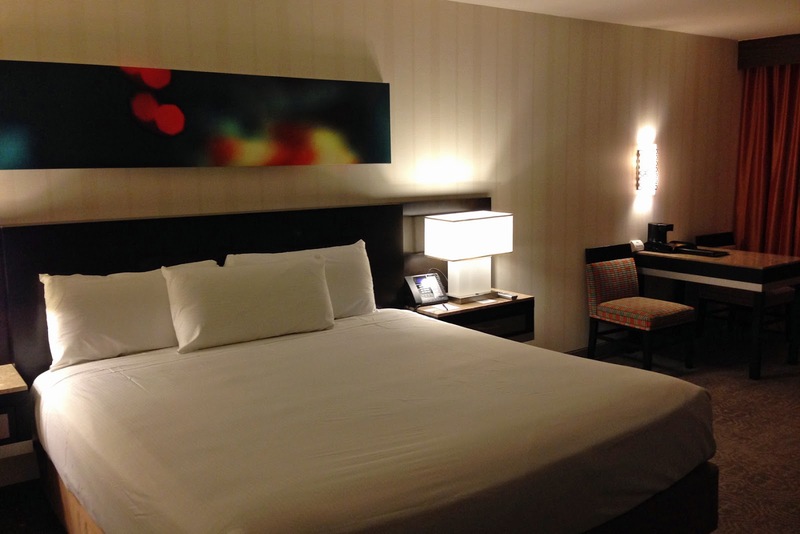 These rooms are pretty much equivalent to a Hampton Inn. Flat screen tv, comfy beds, etc. And they're clean. We arrived late at night so the first night didn't do anything but hit the sack. Started out early on day 2 though! 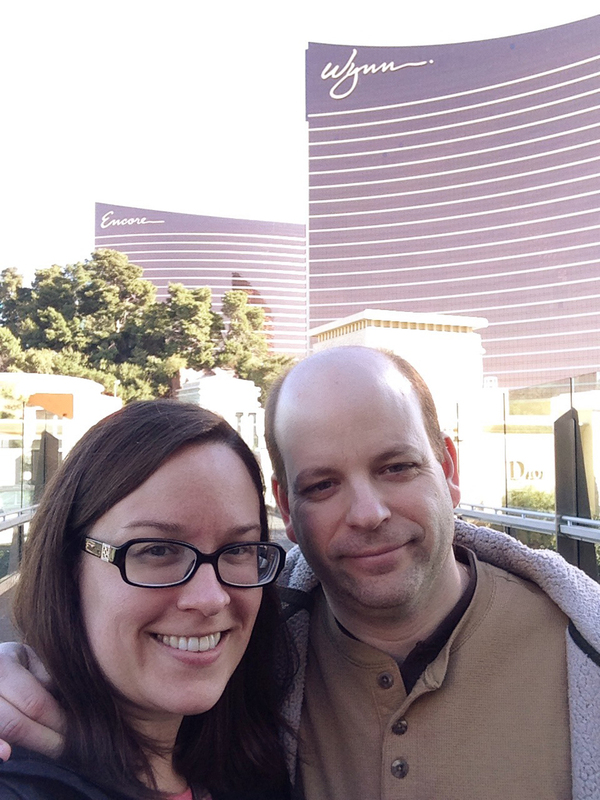 We first headed over towards the Wynn, where we were married almost 5 years ago. 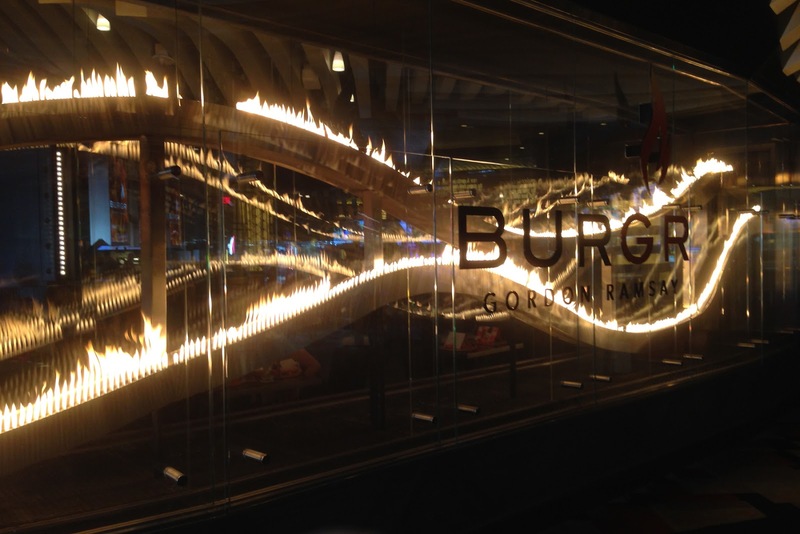 Lunch was at a delicious new restaurant called Burgr. They had super yummy (expensive) burgers and hot dogs, and a few other dishes. It was absolutely scrumptious! 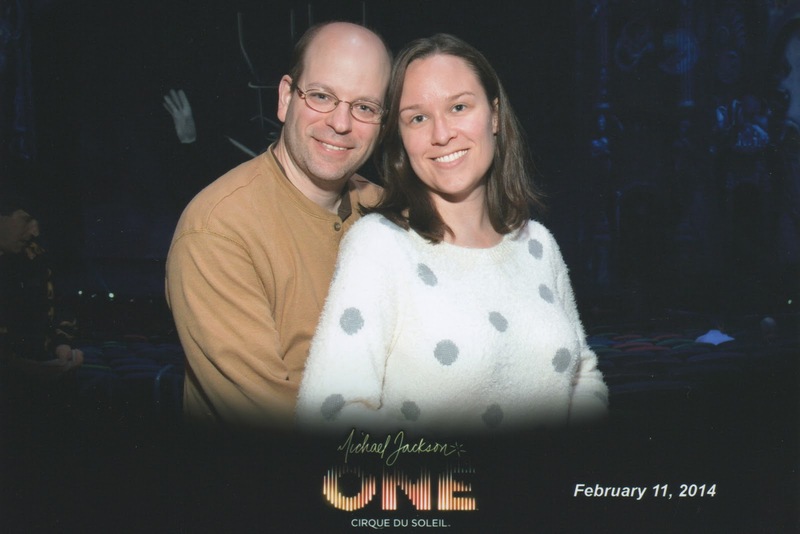 Tuesday night we went to the Michael Jackson Cirque Du Soleil show. The show was incredible. If you're a Michael Jackson fan, this show does not disappoint. So many of his songs, and it was non stop action for the entire time, no intermission. If you do see this show, you want to sit further back. We picked seats in the last row of the bottom section to the right, and it was perfect. The performers come over the audience so if you sit too close you miss some of the action. On Wednesday morning we hit the Neon Museum early, and then wandered a bit for the afternoon. We hit a delicious Mexican restaurant in NY, NY called Gonzalez Y Gonzalez. They made fresh guacamole right at your table. Afterwards I started feeling a bit tired and full, so we went back to the hotel and I took a brief nap while Brad gambled. We just spent the rest of the night at our hotel gambling, which was fine with me. The days felt long, I think because at home we have work and then Austin and so many things we have to get done. I felt we had plenty of time to hit everything we wanted while we were out there. We had dinner at Gilley's, which is kind of a BBQ steakhouse. I was craving steak and any steakhouse on the strip is super expensive. Gilley's was reasonable and had amazing food. Jalepeno cornbread, brisket, these chipotle cheese tots that Brad got. Just ridiculously good food. We will definitely go there again. 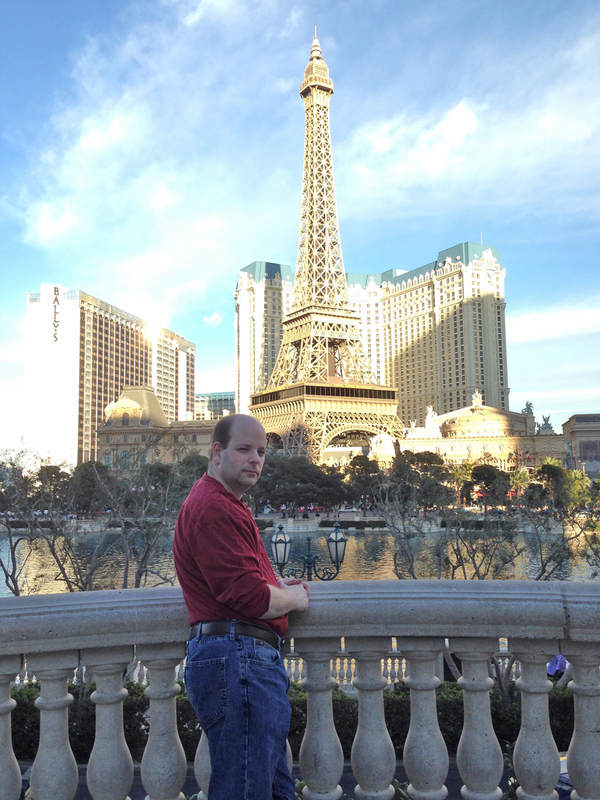 Both Thursday and Friday morning we hit our favorite off-strip casino, Sam's Town, for some video poker. Brad was lucky enough to hit deuces three times during our trip on the Deuces Wild machines at our hotel and at Sam's Town. I didn't this time (but when I was pregnant I hit them back to back the day we were leaving, so it's ok). 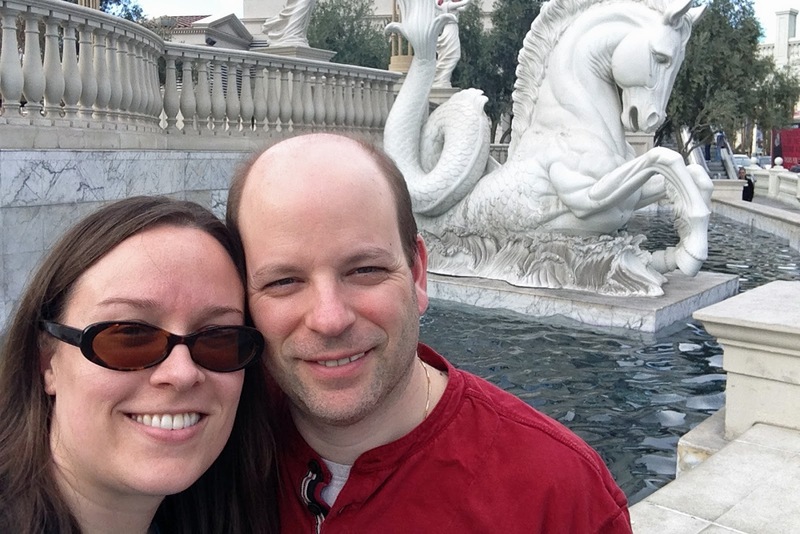 It was interesting to see all the changes that had happened since we were last in Vegas. Some really great, some not so great. First of all, the Imperial Palace was sold, and they've cleaned up that whole area in front of it. They've also added an enormous ferris wheel. They added a Margaritaville Casino to the Flamingo. 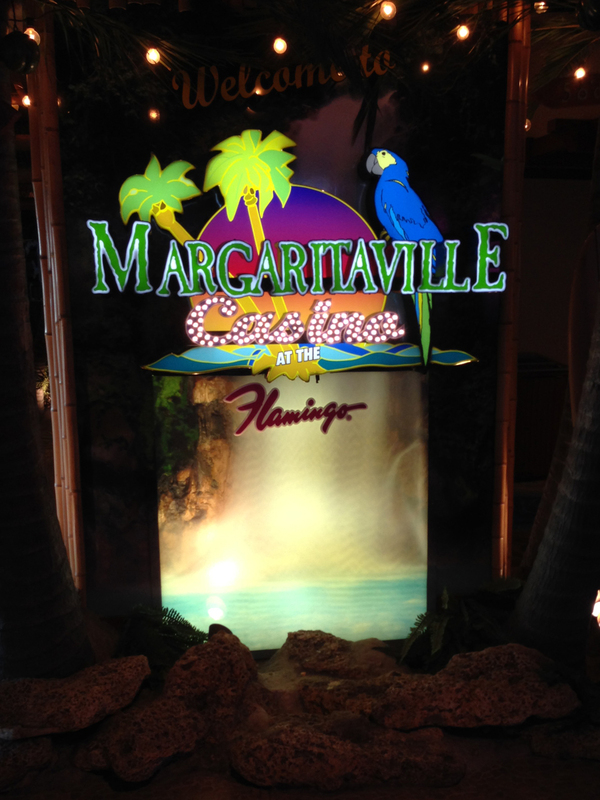 Margaritaville has been there for years, but now they've added a whole themed section of the casino, and it looks awesome. 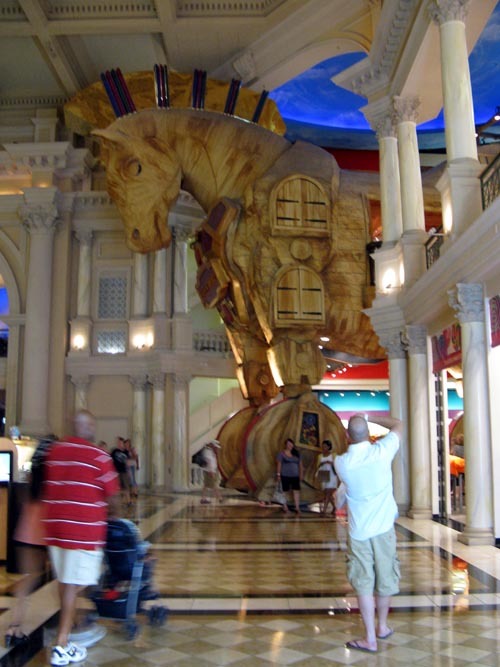 If anyone remembers where FAO Schwarz was, they've put this enormous H&M store in there now, where that huge horse was. Yuck. (If you don't remember, here's an image of the old horse). 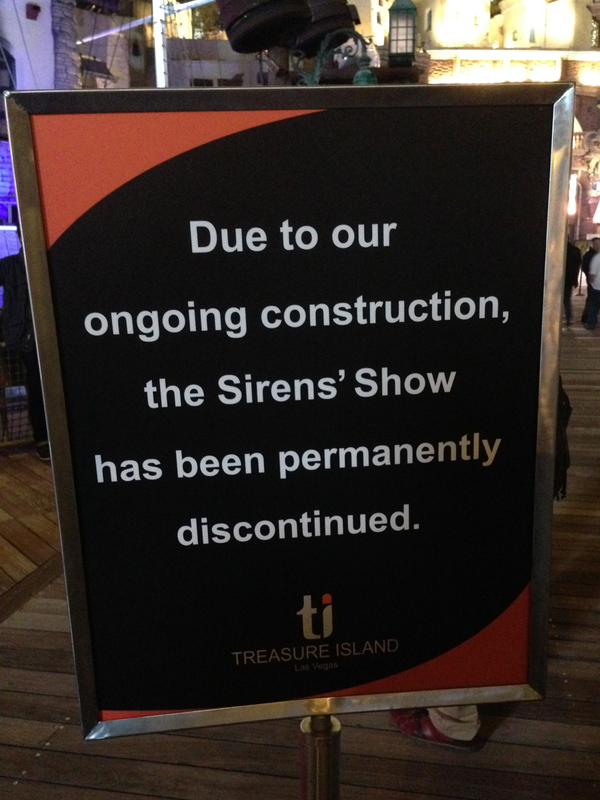 Sadly, they've ended the Treasure Island Sirens show entirely, and they removed the lion habitat from the MGM Grand to put in a sports bar. 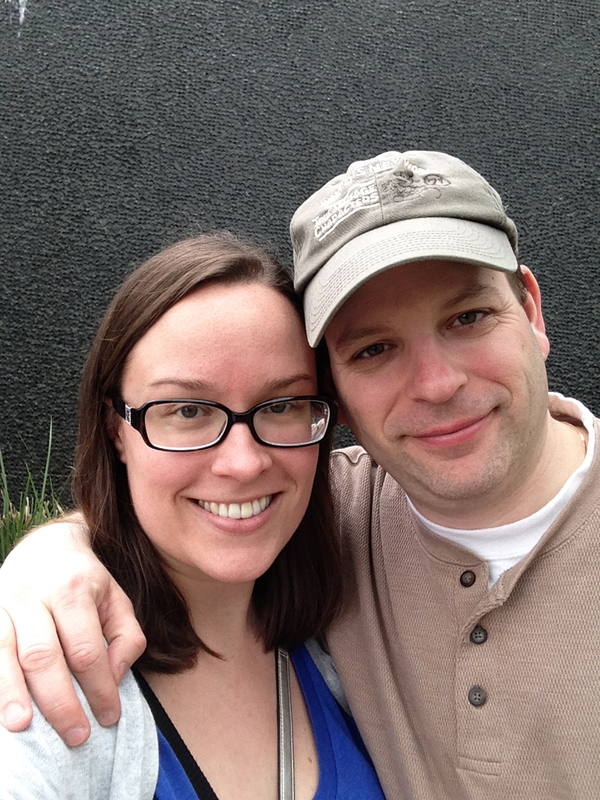 We had such a nice time, and it didn't feel too short, which was great. Austin stayed with my mom and he really enjoyed himself. He was happy to see us when we returned but he didn't really miss us. He just had one big fun sleepover week. 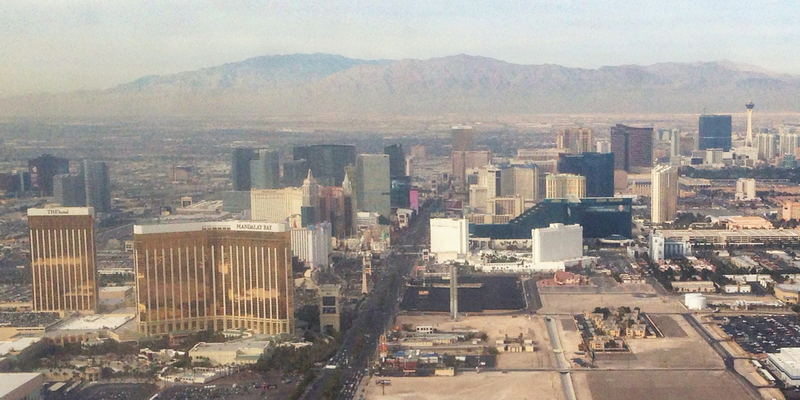 The strip as we took off to go home. Love that they let you keep your phones on now (on airplane mode) when you take off and land. The entire city was celebrating the Chinese New Year it seemed. 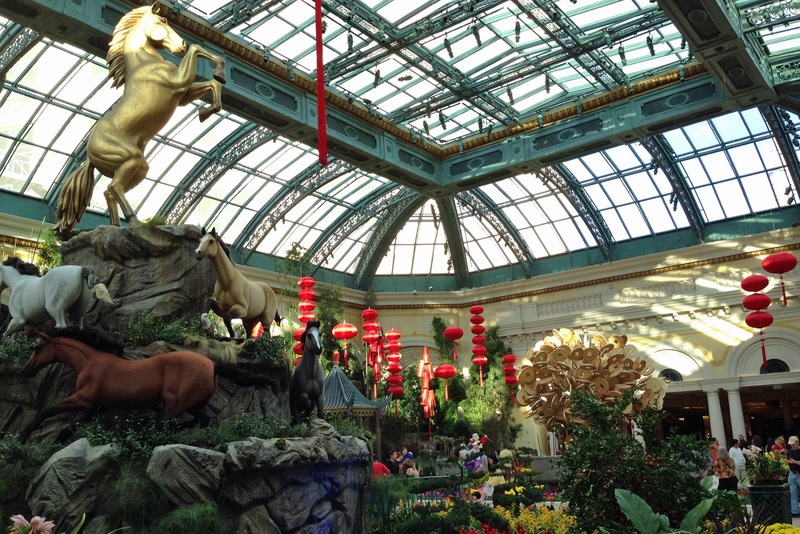 Displays everywhere, and Bellagio had the most elaborate. We had some ah-mazing cupcakes one afternoon. Sooooo good. 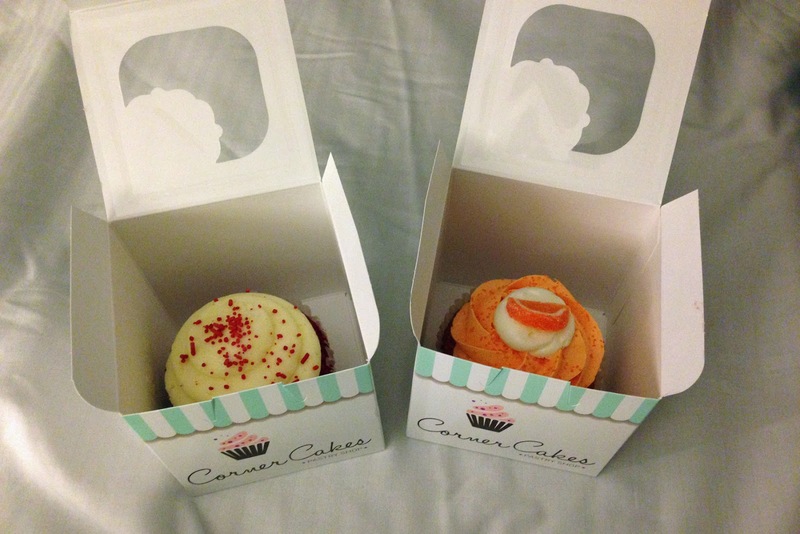 Red velvet for me and orange for Brad. That's it. I'm still trying to get these into a Project Life layout, but since we returned home I've been swamped. Hopefully I can get some downtime soon. Incredible photos, as always! 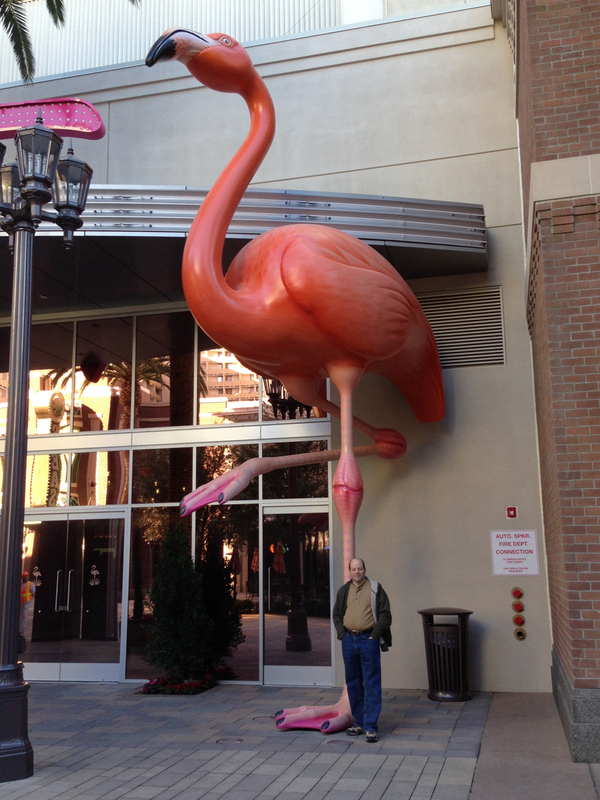 I especially love the giant flamingo, and that portrait of you in the last pic, so beautiful! Also, I love me some H&M. But I never understood how people could shop while on vacation, you gotta fly back with all that stuff! What's really funny is that 95% of the photos above were with my iPhone. 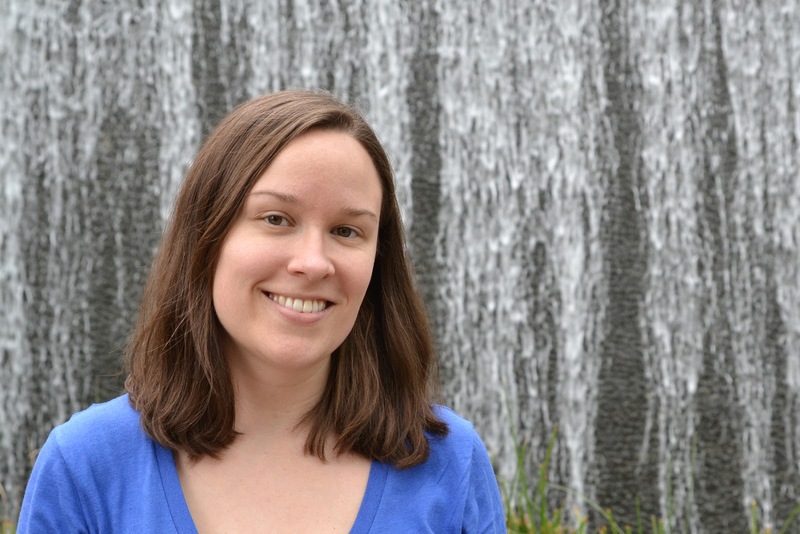 I didn't take my big girl camera around that much, really only to the Neon Museum and then the waterfall wall. And I agree. Which reminds me, we're gonna need to remember to bring our own little shopping bags to CKC this year! FAB! Im using this as a template for our next trip! We're going to copy all of it :) Staying on the strip is overrated... I begged my husband to take me to Britney next time...I told him he has 2 years to make it happen...hahahaaa. Oh and I CANT WAIT for the neon museum!! 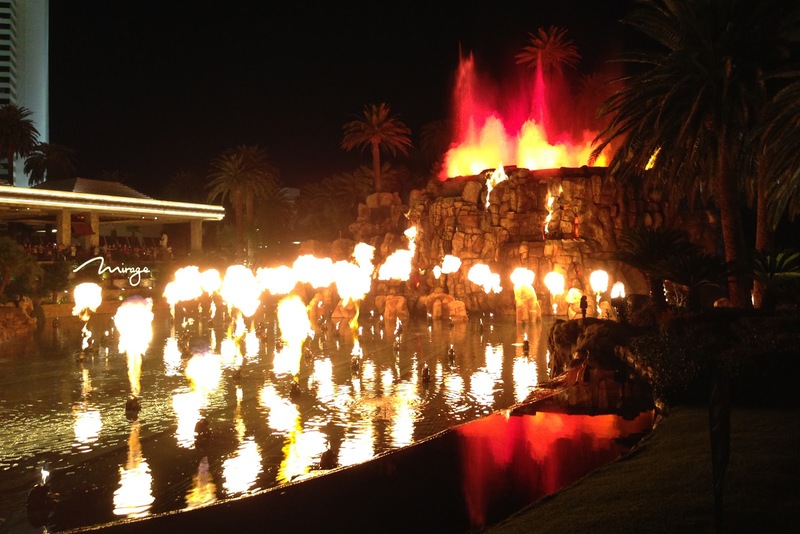 Great info about the Gold Coast, we always stay on the strip since we never get a car. Maybe next time we should do that! Last time we were there, we split a burger and appetizer at BLT Burger in Mirage. Expensive, but SO good!! Recommend it! We still talk about eating at Gonzales Y Gonzales on our honeymoon, it was DELISH! I don't know why we've never gone back, we loved it, just so many places to try. 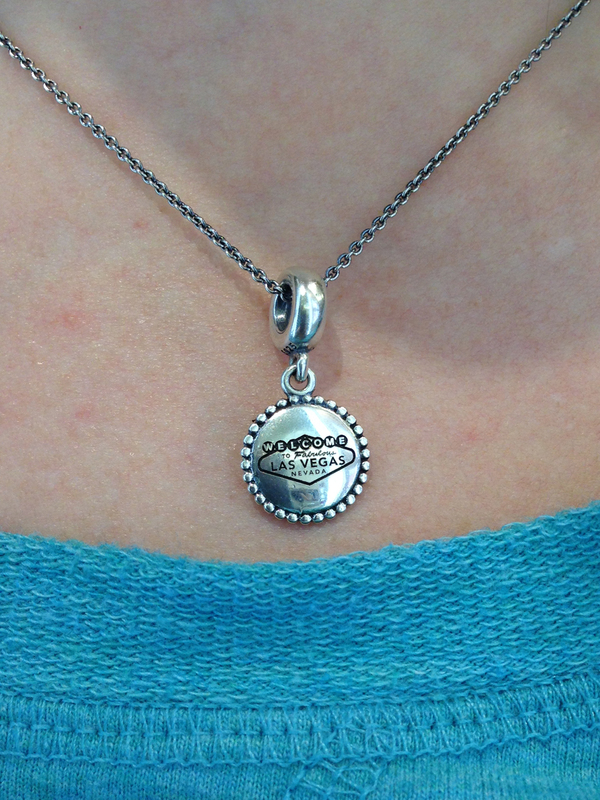 LOVE your pendant! 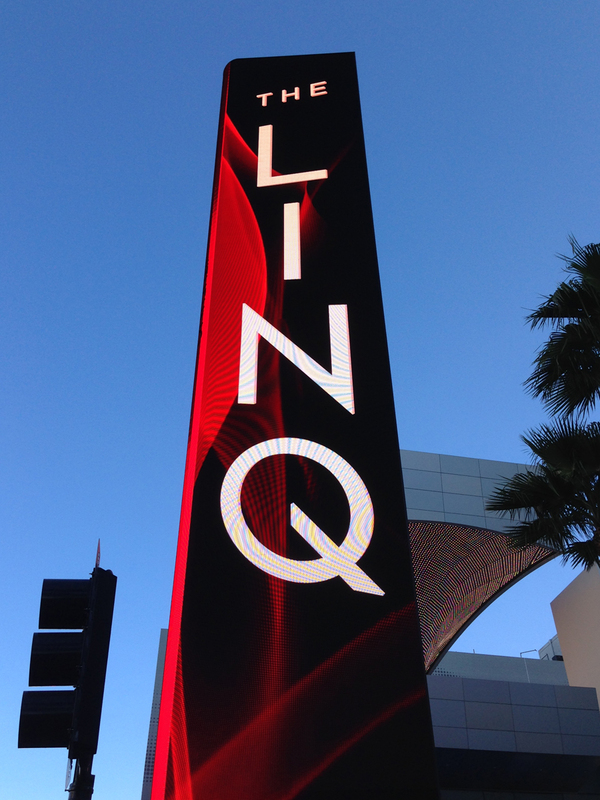 Perfect for you (and all lovers of things Vegas). So glad all the construction in front of Imperial Palace was finally done, it looks so much better now! 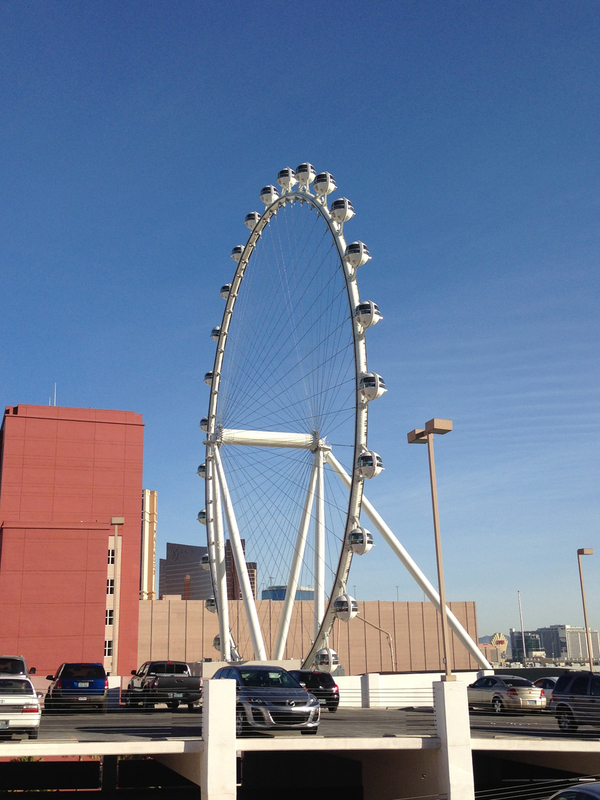 I heard about them building a huge ferris wheel like the London Eye, but thought it was going to be further down toward Mandalay Bay ... is that it? I can't believe the FAO Schwarz wooden horse is gone! 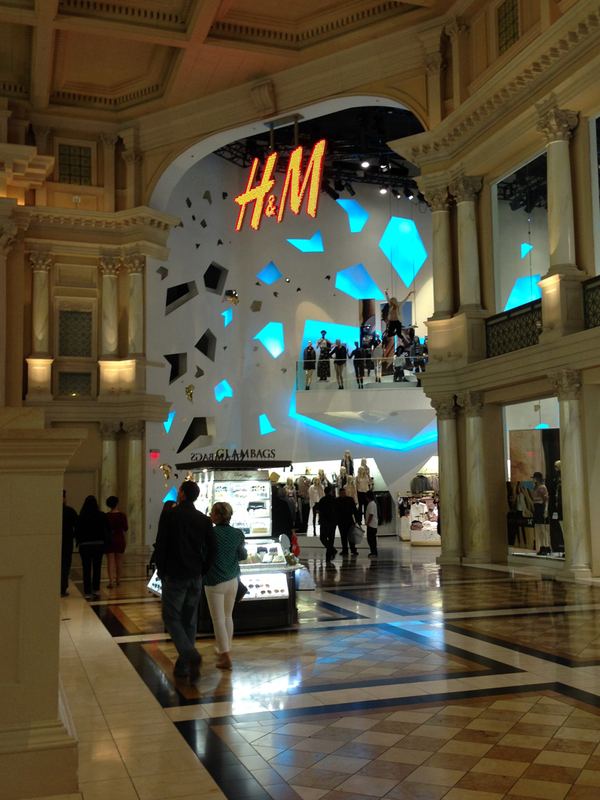 I guess the fitting things for all Vegas landmarks is 'out with the old, in with the new' ... crazy! And yeah, I don't understand people shopping there ... souvenirs, maybe a new outfit, something like that, but one trip with some friends, the girl was shopping at Bath & Body Works, stocking up on sale stuff!! We all thought she was crazy, it's the same stuff she can get here, same sale, don't have to pack it ... and she kept saying "but it's from Vegas!" SMH! 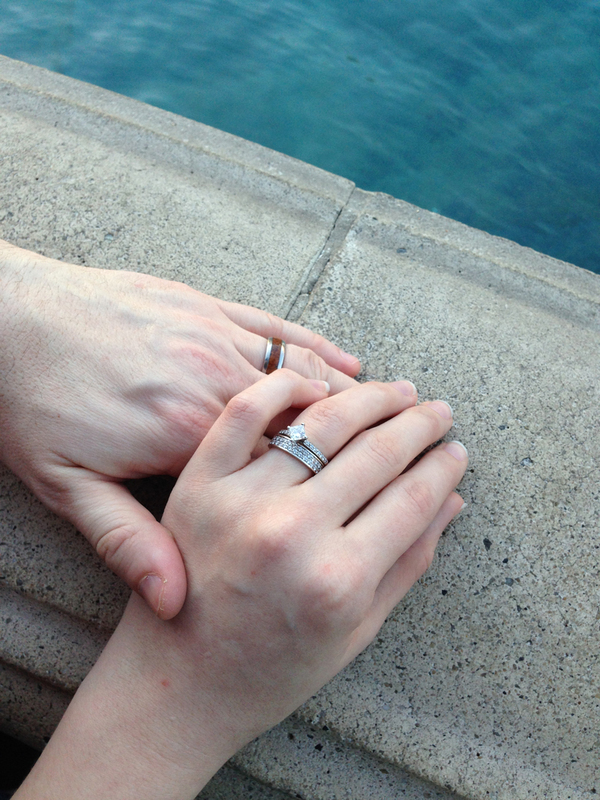 :) I was super crushed to hear about the Sirens show, another one of our favorite honeymoon memories. And how sad about MGM's habitat. I used to love watching them, and the one that closed at Mirage too, with Seigfried & Roy's white tigers. I could watch them for hours. 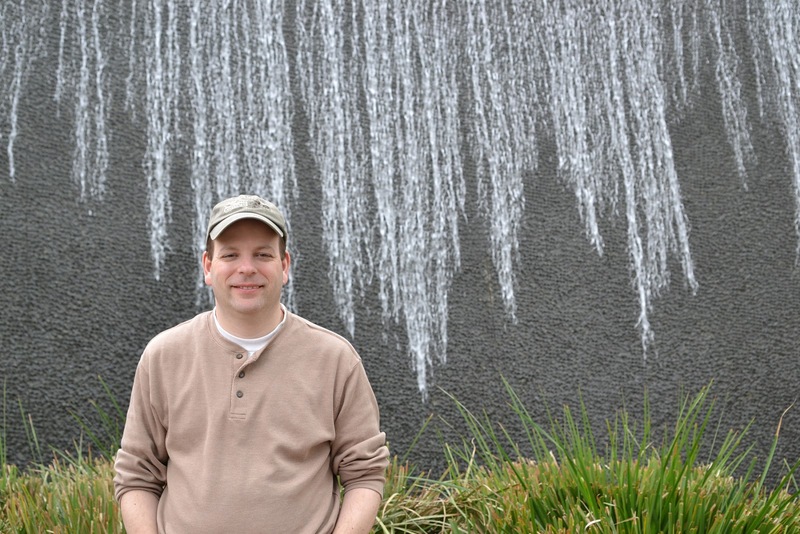 Always love the Bellagio Conservatory and Fountains, and that shot of Roy with the Eiffel Tower in the background is awesome! You got some fantastic pics! Oooh, and I definitely need to hit up the Britney store!! We were planning to go for our 10th Anniversary at the end of May, and I started looking up places to stay and airfare and all, and one of the must-do things was Britney's show ... and it's dark from mid-May to August! Ugh ... I was so sad! After a lot of discussion, we decided to go to a beach instead and do a Vegas trip over a long weekend or something (when she's back) in the fall. So, from what I read, there was supposed to be a second giant ferris wheel. But they've ceased building on that and started dismantling it, so maybe that's the one you were thinking of. This one is between Imperial Palace and Flamingo, that whole area. Haha, were you thinking of Seigfried and Roy for the Eiffel tower? :) His name is Brad ;) Heheh. Have you been to the new Dolphin & Tiger habitat at the Mirage? It's pretty amazing, I've done it I think 3 times now. Definitely check it out if you haven't yet. It's worth the admission.